As one of the largest oil and gas show, ADIPEC draws attention to thousands of oil and gas professionals. APIPEC is short for Abu Dhabi International Petroleum Exhibition & Conference. Every year, many newly developed oil and gas equipment are exhibited in this show and new technology are shared by many experienced experts. The 2017 ADIPEC will be held from Nov.13th to 16th. This might be the largest oil and gas show besides USA OTC show in Middle East. 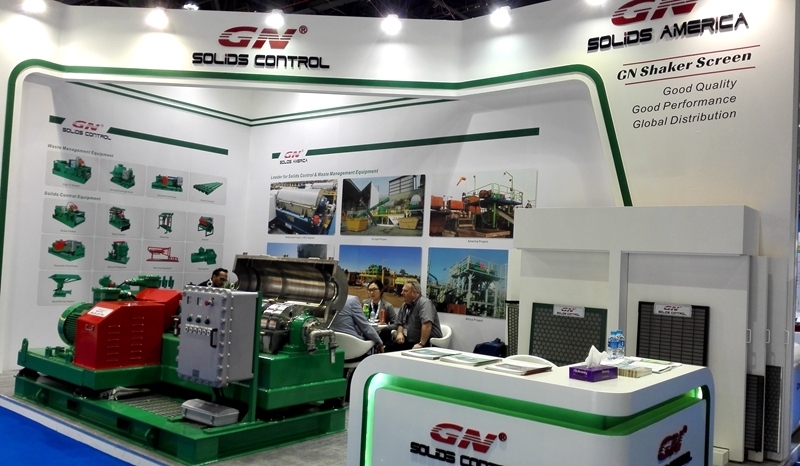 GN Solids Control will attend ADIPEC show, GN Solids booth no. is 10250 in Hall 10. 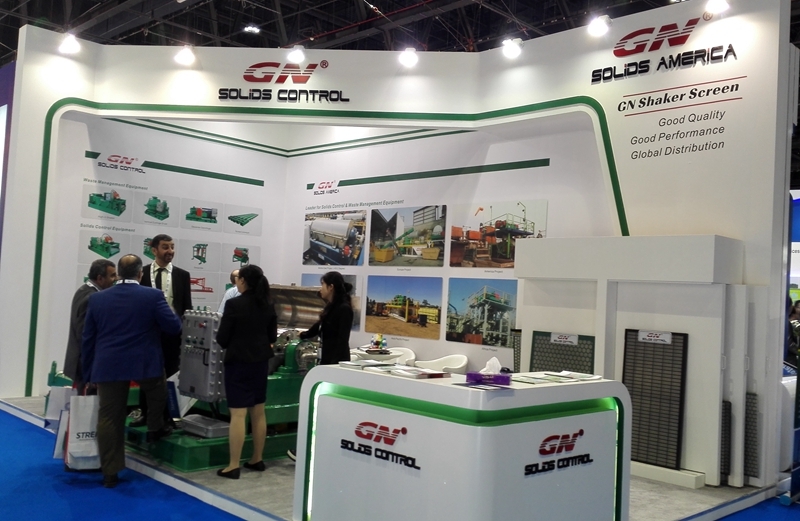 GN Solids Control welcomes all GN friends to visit us, please feel from to connect with us if you would like to check our solids control and waste management equipment. This year, GN Solids Control will exhibit some shaker screen in the ADIPEC show. Although the oil price is still pretty low, but GN Solids Control receives more inquires on shaker screens and selling more shaker screens. With the establishment of GN Solids America LLC and GN Solids Russia, more and more GN shaker screens and solids control equipment are purchased. GN Solids Control will exhibit many different kinds of shaker screens, such as replacement King Cobra shaker screens, replace Venom shaker screens, replace Derrick shaker screens, replace Mongoose shaker screens and replace FSI shaker screens. Now GN Solids Control mainly manufactures composite frame shaker screens. Composite frame shaker screen frame is also metal frame, while the outside is covered with Composite Frame. GN Composite Frame screens are using 3 layers for screen API no. above API 60, while most of the shaker screen manufactures are using 3 layers for screens above API 120. GN Solids Control only used top brand wire cloth to manufacture shaker screens. Feel free to check our shaker screens in thee 2017 ADIPEC. If you are located in USA, welcome to visit our Houston warehouse in Houston, TX.